A lack of predictable funding means that co-ordinators cannot make long term plans and volunteer time is diverted to fundraising rather than training and education, says B.C. Search and Rescue. The future of B.C. 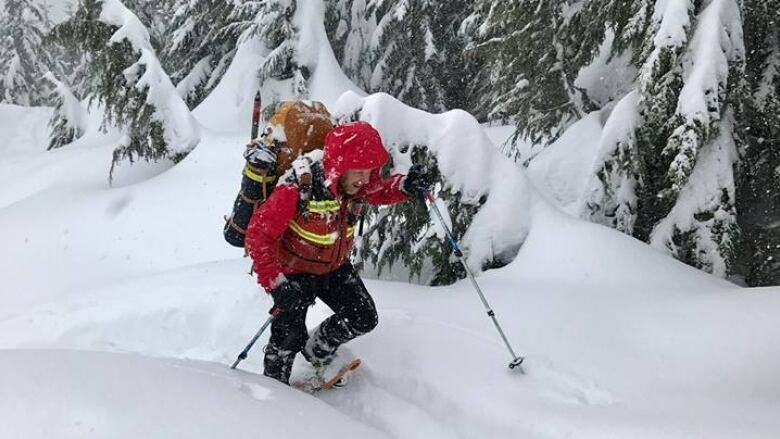 's volunteer search and rescue programs has SAR groups worried after no new funding was included in Tuesday's provincial budget. "We're still hopeful there will be a separate announcement before the end of the fiscal year, but we're trying hard to crunch numbers now and see what we can carry forward past March." B.C. has 80 recognized search and rescue groups with 2,500 volunteers who respond to over 1,800 incidents annually across the province. Funding for incident response is guaranteed by the province but funding for volunteer training, public education programs is unpredictable. When asked about the absence of SAR funding in the budget, Finance Minister Carole James said the NDP's plan for SAR is still under discussion. "[It's] certainly on the radar of the minister and those discussions, I know, will continue, to make sure we can provide support for the incredible volunteers and the incredible organizations. "We're getting into avalanche season and we've seen the incredible work that they provide in communities," she said. In 2016, the Liberal government announced a one-time grant of $10 million for B.C. SAR, and the association received another $5 million from the NDP last year. This money has gone towards avalanche safety education, peer support and training for SAR volunteers, as well as replacement safety equipment like rope. Volunteers pay out of pocket for their personal attire. The association has been in discussion with the province since 2013 about the need for guaranteed funding to continue operations. B.C. SAR was hoping for a yearly commitment from the NDP in Budget 2019. "What we're saying to the province is fund it, and you figure out where the money comes from," said McAllister.